← Bust the winter blues at our branch social! 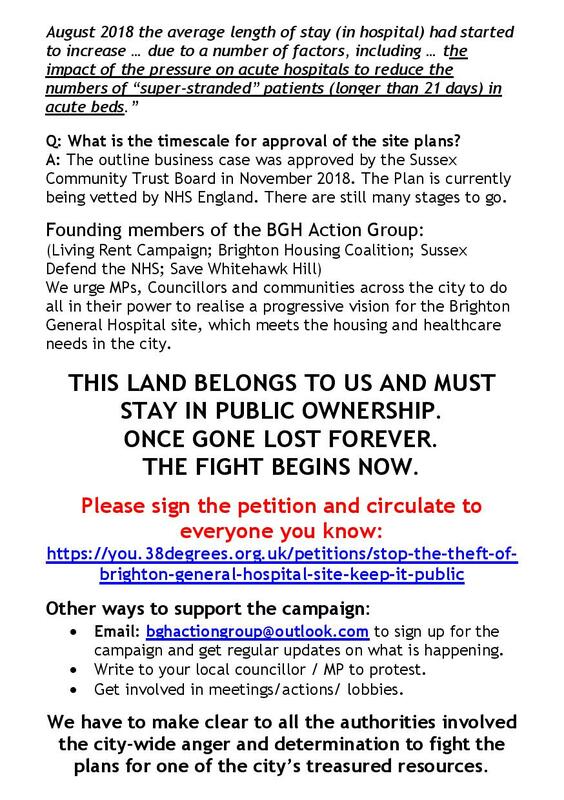 Madeleine Dickens of Sussex Defend NHS will be speaking at our branch AGM on Wednesday (20th March) about the campaign to ensure the land at Brighton General Hospital is kept for community use. Read more about it here. All branch members are welcome at the AGM at Brighton Town Hall, starting at 5.30pm.